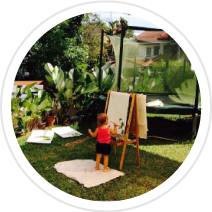 A small private preschool located at the corner of Holland Road and Sixth Avenue with daily drop-off programmes for children aged 18 months to 6 years old. After more than 25 years of combined teaching experience in Singapore, our co-founders have cultivated an approach that we call The B2T Way. 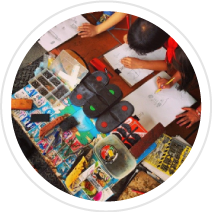 A Singaporean early learning space for projects and subject learning. 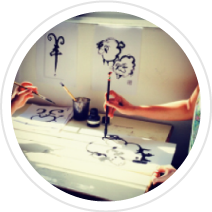 Professional and experienced faculty with curriculum specialists and a school artist. Cosy class sizes with a small teacher child ratio and ample opportunities for small and large group interaction. Surrounded by plants and natural materials, an aesthetically pleasing space for your child to thrive in. Open, inviting, light, beautiful textures, smells wonderful, provokes my curiosity, respectful of children’s voices, lovely spaces and places to be. It was lovely to visit such a wonderful place! Respectful of children’s ideas. Impressions: Light, Textures, Nature, Warmth. The children who attend this center are indeed very fortunate! If there were classes for big kids (30 and above) I would enroll! Experience the centre for yourself. Drop by for a visit! Copyright (c) 2018 Between Two Trees Preschool - All Rights Reserved. 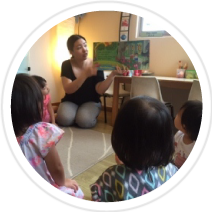 Between Two Trees Preschool is a Small School by The Lighthouse Keepers Pte Ltd.